Parliament Square To Be Pedestrianised? 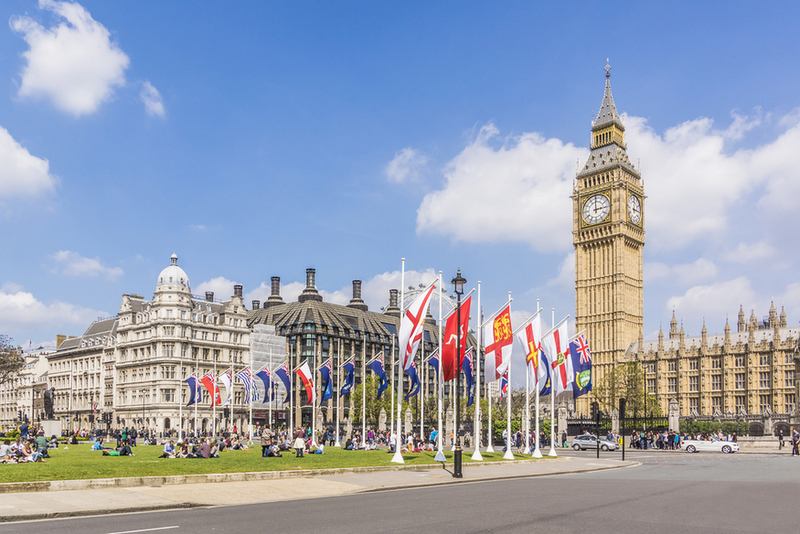 M@ Parliament Square To Be Pedestrianised? Part of Parliament Square could be pedestrianised as a measure to prevent terror attacks launched from vehicles. Mayor Sadiq Khan has ordered a feasibility study after the suspected terror attempt in August 2018, which left several injured. The square, between the Houses of Parliament and Westminster Abbey, is a popular draw for tourists. The central area contains many important statues, including the recently unveiled likeness of Millicent Fawcett. Yet this World Heritage Site is blighted by up to five lanes of traffic, which sweep around the central island. The study — launched jointly by the Mayor of London's Office, Parliament, Westminster City Council and the Minister for Security — will look at various options for improving safety. Pedestrianisation of the eastern side of the square — the bit that runs beside the Houses of Parliament — is sure to be one of the more attractive proposals. Blocking this route to traffic would not only prevent motorised terror attacks on parliament, but it'd also solve the long-standing problem of too many tourists on too narrow a stretch of pavement. It won't be straightforward. The main car park and vehicular entrance to the HoP is located on the eastern stretch and will have to be accommodated. The effects to the wider area of permanently closing off part of the road network will need to be examined closely; 11 bus routes currently use the square, for example. How will deliveries be made? How will those with disabilities access the buildings? Were the part-pedestrianisation to go ahead, it would mark a radical change for the square. Only a few years ago, the central island was impossible to reach without dashing across multiple lanes of traffic. Crossing points have since been installed, meaning we can all go and gawp at Fawcett, Mandela, Gandhi, Churchill, Lincoln and inflatable Trumps without risking life and limb. Pedestrianisation has been mooted before. City Hall looked into the idea under Ken Livingstone's mayoralty, but the plans were scotched by his successor Boris Johnson. Now it's Khan's turn. Will the mayor who was blocked from pedestrianising Oxford Street fare any better in Parliament Square?